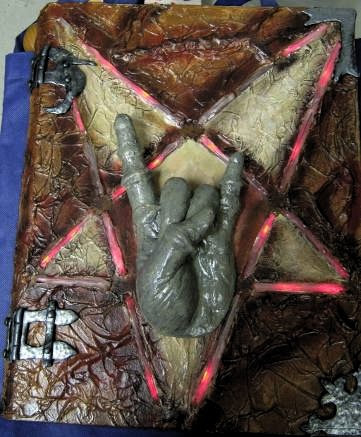 The Book of Pure Evil (from the TV show Todd and the book of pure evil) was the goal of this project. 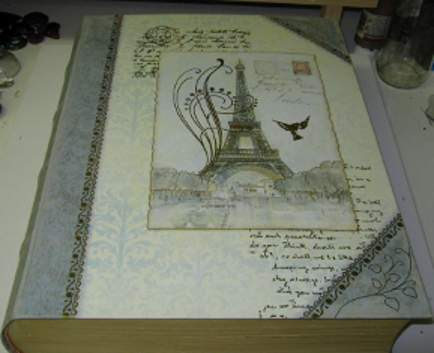 A lot of the project is in the paint job applied to the book rather than the electronics. The book is actually fake and is meant for display and storing knick knacks and looking nice on a shelf. When I saw the book in Michaels, it seemed spot on, and it was on sale too – perfect. I immediately knew that this would be a great quick project, which I needed as a lot of my time was being taken up with other things. This was also to be my first Arduino project. The plan was to play around with the Arduino and create a simple LED matrix. 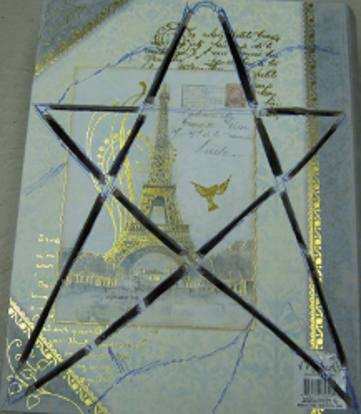 A pentagram shape was cut out of the cover of the book and some perspex was inserted into the slots. 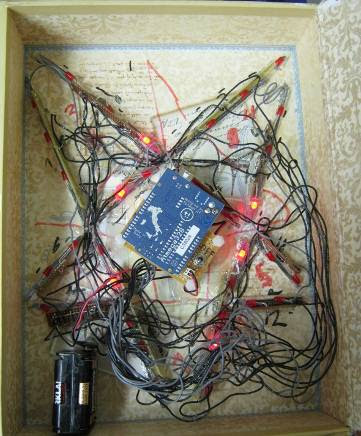 The matrix has 34 LEDs, (not for any real good reason, I just wanted 6 LEDs on the points of the pentagram). I examined an LED blink sketch and an LED glowfade sketch and modified the code from there. I ended up with a book that glows in a sort of evil way. The hinges are made from polymer clay and then painted to look like aged metal. The devil horns were made by dipping a hand into one of those stone kits to make imprints of child hands. And the finished book looks like this.